Rajam VikasTarangini announced that Digital classes are being conducted to 10th class students in government schools. We have been doing this for many years now. This year district collector, Sri P. Lakshminarasimham inaugurated the digital classes. 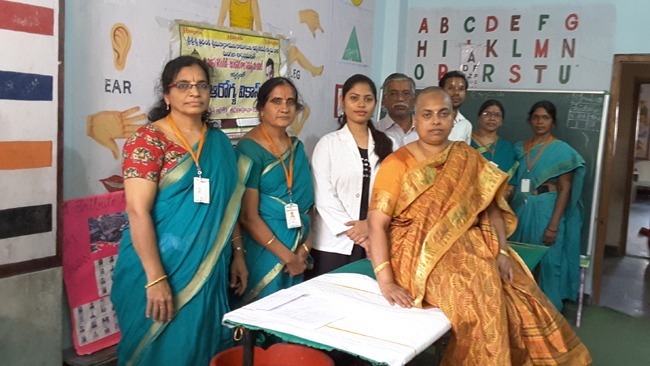 Till now, Vikasatarangini conducted classes for 27 schools in 5 mandals –Rajam, Regidi, Santakaviti, Vangara, G.sigadam. Interested students made use of these digital classes and are happy to be part of the program. More than 200 students from 27 government high schools attended the digital classes on 27th July 2016.